She was his number one employee for years now. He didn’t let anyone else who worked for him be that involved with his business finances. How had she done it? It was her consistent loyalty of pointing out possibilities that kept him out of hot water with his customers. Now she was regretting it as she watched all the computers being taken away by authorities. He was a fake, a phony and many of his customers gave him a lot of money over the years. She was so good at noting the worst that could go wrong, how could she have missed this? How could she, the one who thought things through to the ultimate degree, have missed a complete phony? All she could think about for days was how betrayed she felt and how she could have got it all so wrong. There was nothing that could have prepared her for this. How long was he a phony? Did he start out honest and then go rogue in the last year? How long has he been taking advantage of people? There were all the little white lies being told to his customers. She hadn’t given much thought to them because they seemed unimportant to the situation at the time. How easy it is she thought, to ignore when people we care about step out of a positive character. After all people are not perfect and accepting their faults and all is much more important. These are the nagging thoughts that pervaded her sense of self blame and sense of betrayal. How far does one go with accepting others’ faults? Weeks passed before her self-pity party abated enough for her to have a clearer head. No one wanted anything to do with her because of her association with him. She felt so abandoned, hurt and a lot of self blame. Who would trust her? Could she find trust after being a victim? So how could she reconcile this whole thing for herself, to move on? After considerable contemplation, she decided to forgive herself for not catching a really good phony. There are some people who are just that good at acting and could fool anyone. She could start by owning up to mistakenly trusting him more than she should have. She chose to love herself enough to move beyond this now. In the wake of self forgiveness, she came to the conclusion that she may have been the victim of these circumstances. It was tempting to hang on to being a victim, as a shield to stay away from people or a challenging life. But that path is filled with loneliness and regret. She didn’t have to continue to live a life as a victim. She could find trust. Yes, she knew she could be fooled again by someone else, but keeping the victim alive within her to avoid that experience again would not work. How could she trust her own instincts and learn to find trust after being a victim and trust others again? Could she separate herself enough from this bad situation to find new relationships and friends and be trusted again? She wanted to find a healthy balance of accepting others faults without compromising her own principles. There was nothing wrong with probing into enough details to evaluate if others were trustworthy or not. How would she start fresh again? She knew that she wanted to do things right the next time. Did she have the skills to evaluate if others were trustworthy or not? Yes she did and this experience was sufficient enough to let her know when she crossed that line of trusting someone else too much. She had a path to move ahead without remaining a victim. Yes, her life would be different, but she chose to make it a better life. Has someone betrayed and abandoned you such that you want to keep it alive to protect yourself from it happening again? Were you hurt by someone who made you the victim? 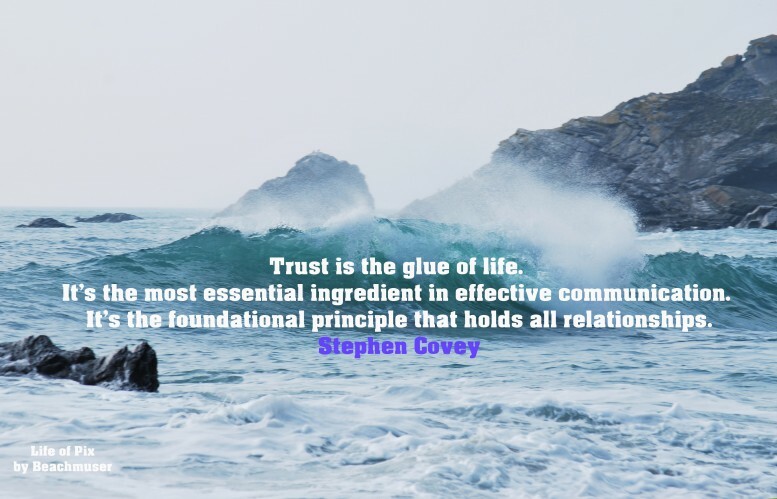 Have you been able to find trust after being a victim? You don’t have to let negative life events turn you into not trusting yourself or others. Use them to discover who you truly are. You can find trust after being victimized. Touch your gestalts. You can receive in the depth of betrayal and abandonment. Let it inspire you to be willing to redefine your life experiences with the light they were meant to have.